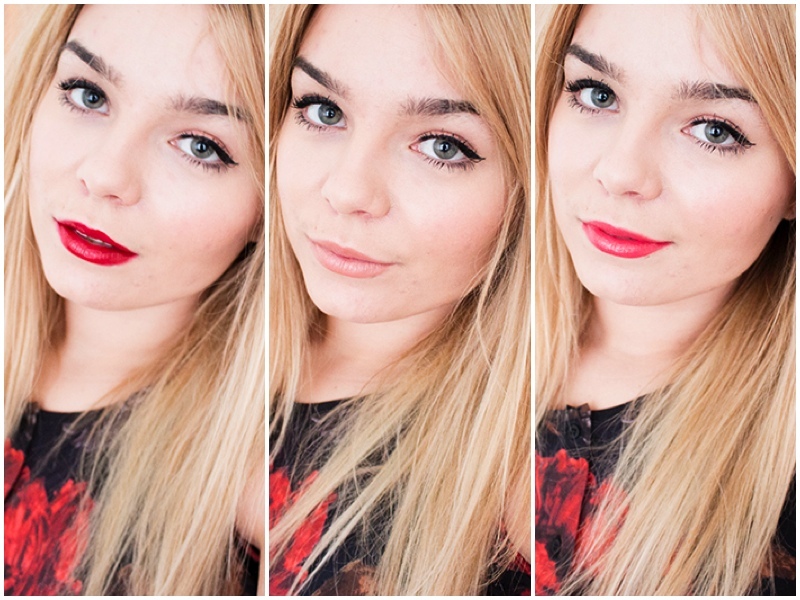 I recently got sent a few more of the Rimmel Apcolips and I thought I'd swatch 'em up. 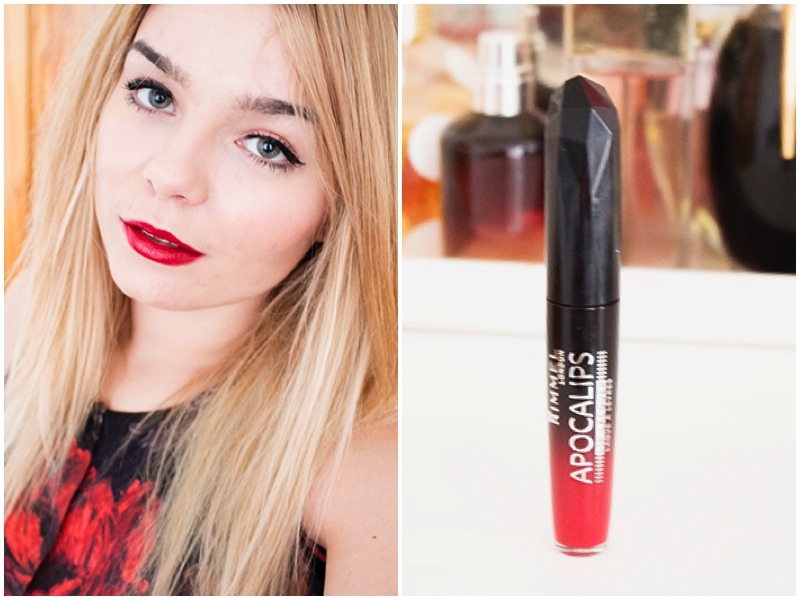 You can see my original review of the Rimmel Apocalips here but almost a year ago with my thoughts on them. The skinny on them are basically they are a sort of lipstick/lipgloss hybrid. They are of outstanding quality and feel dreamy on the lips. They glide on effortlessly giving full coverage in just one swipe and although the formula is slightly glossy it doesn't feel like a lipgloss, more of a lacquer style finish. 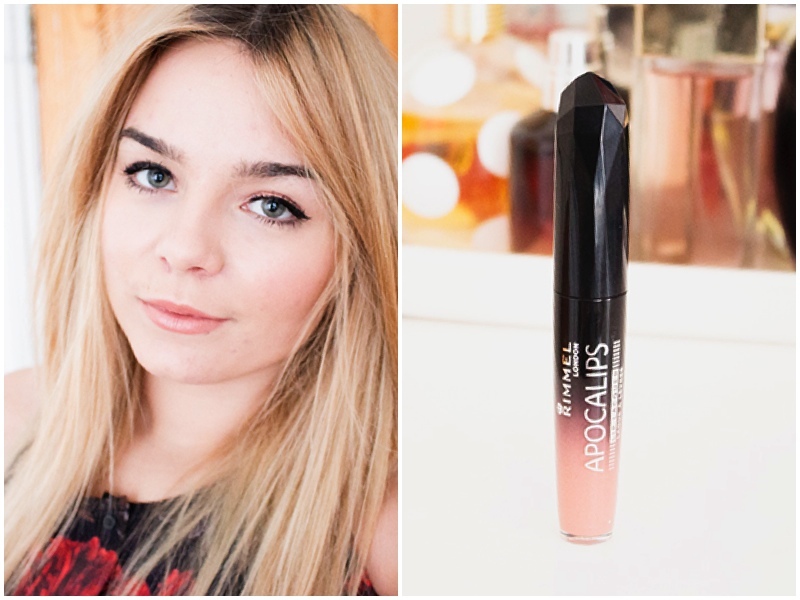 I think they are really underrated as a drugstore lip product and I must make a point to use these more! 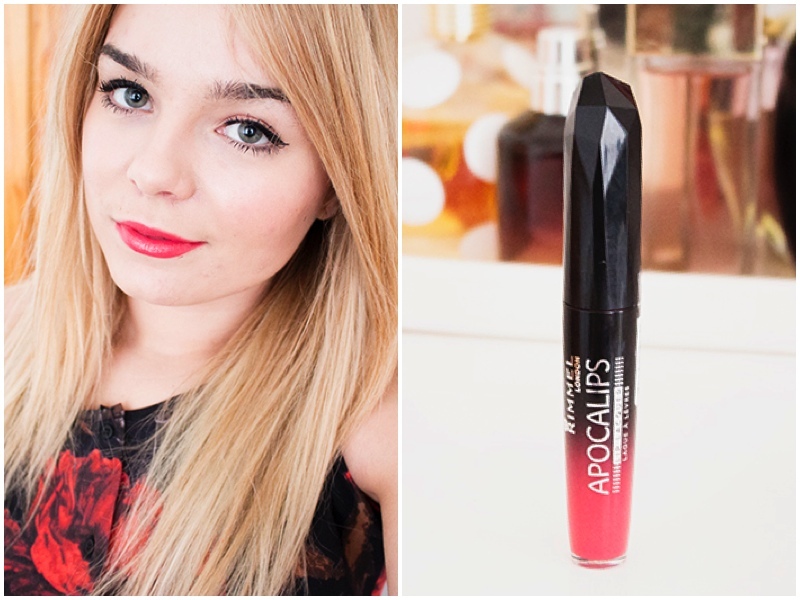 Rimmel Apocalips in Aurora: A brightening rosy coral. 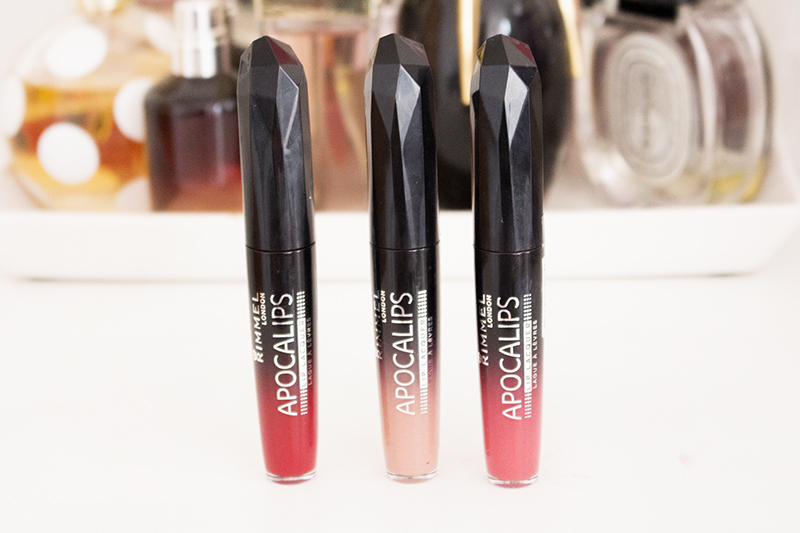 Have you tried Rimmel Apocolips?